Triangle breakout done. 10600-10900 is tgt zone. Sensex has broken out above 10200 which was the recent top as well as above the trendline joining post october tops. Ideally such a scenario should open up a minimum target zone of 10600-10900 and on an optimistic note even 11650 +. The current move would face resistance around 10600-10900 band on upper side. In the extreme short term Sensex has made a move of 1000 points in 6 sessions which is suggests we could see some breather or dip from higher resistance levels before taking another shot at a breakout move. Support for any dip should come around 9700 zones. The lower level for the triangle is around 9300-9500 which remains the most important medium term support. Of late ever the recent lows have been 7700 /8300 /9100. At the same time highs have been 10900 /10200 and now going on. If we see in these period markets have given goood clean moves of 10-20 5 for traders on long side in index and super moves in specific stocks of 30-50 % quite many times. But there have hardly any believers in the rally !! Lot many puts have turned to pits 😛 with time. Simple logic --- In bull markets there are dips and breathers , in bear markets there are rallies. So we are in midst of one let it give reversal signals till then trail. Our approach has been simpler to trade with long bias on stock specific with a trading view to generate gains !!! has been profitable. FEW DAYS BACK I HAD WRITTEN --- Crude bottom is in place when it hit 33 odd in Jan contracts and then drifted a bit to 37 before pulling back sharply to 45-48 now. The view was to stop shorts and go small longs . Tgt levels are 49 and 55 in extreme short term. Just a few links from the archives. CRUDE TOP EXPLAINED -- http://nooreshtech.blogspot.com/2008/09/crude-analysis-147-to-106-technically.html . 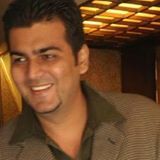 JUST AN OLD VIDEO on SENSEX ANALYSIS ----- http://www.youtube.com/watch?v=2OtzphE6d18 . All the stocks discussed recently have inched up slowly and are continuing the uptrend slowly. The best way to trade such a trend is to book partial profits at resistance /target levels and keep trailing stops to ride the gains. ONGC has resistance around 740. Reliance Inds around 1410 . HDFC around 1700. These are levels corresponding to index resistances. Fresh calls to be triggered in the day as lot many stocks are nearing our target levels and are bein trailed. I have just completed creating a beta version of the site --- www.nooreshtech.co.in which would be updated with blogs , views , data,info etc on regular basis. There is a forum,chatroom, shoutbox and much more would be added soon and slowly. Readers can create their accounts. They will receive a mail with a one time login. Change your password. Also there is a box for Comments Suggestions/Testimonials. I would like readers to use this section to help me get better and know more about the readers. Readers can send in their suggestions also to noorrock2002@gmail.com. Pass the site to other interested people.